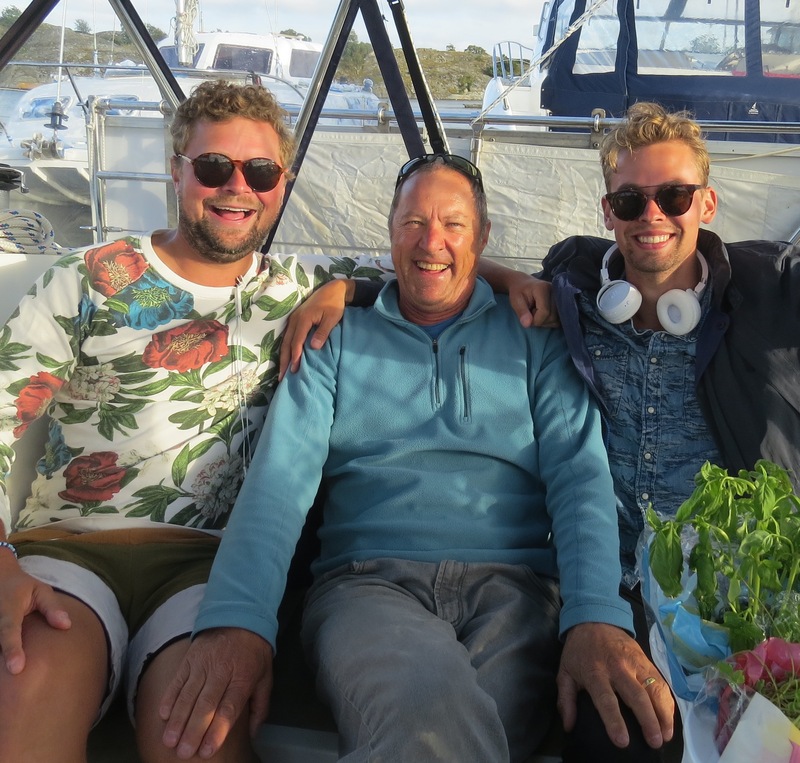 The Swedish island of Styrso became a beacon for our 2017 summer after meeting Styrso-ian Michael aboard Oslo-ians Thomas and Camilla’s boat s/v EQUINOX. 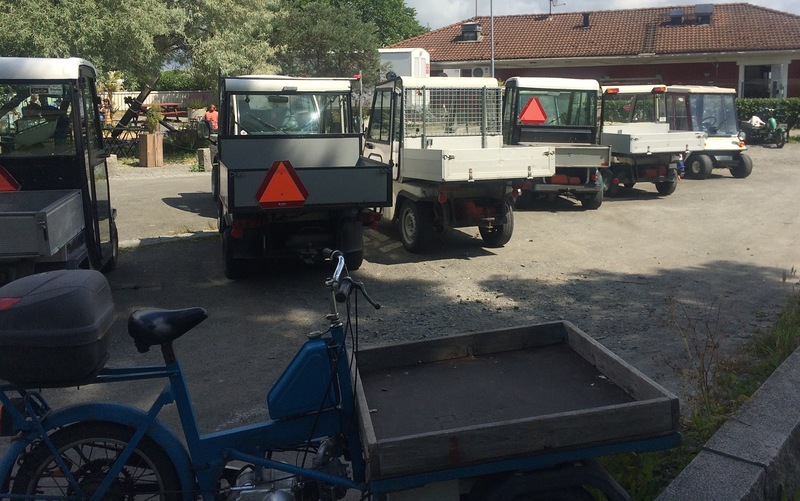 They were prepping for EQUINOX’s first offshore passage, from Farsund to Scotland, resulting in our sharing information that night prior to seeing them off the next morning. 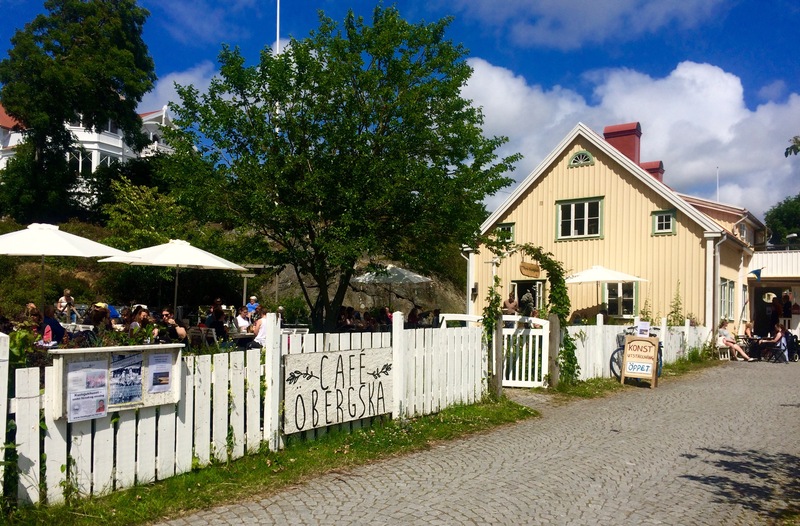 During our time together Michael mentioned he owned a cafe on an island close to Goteborg and for us to stop by if we’re in the area. Seven weeks later we’re in the area :) And, the fun began. and easy strolling seems the epitome of a Swedish summer place. By the time we untied JUANONA’s lines for our Monday morning departure we felt we had found a second home. Landing on Friday afternoon we scouted out the little village of Bratten, arranged to meet Michael later that evening, and returned to JUANONA. While straightening up the boat we noticed some folks standing on the dock looking at her. 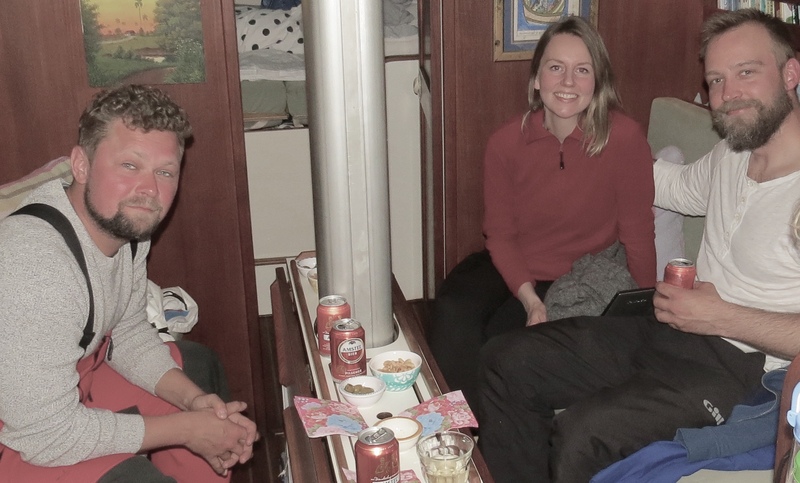 We began talking, then invited them below, which is how we met Ralf & Eva and Jonas & Vivica. Before we knew it they had invited us for coffee at Ralf and Eva’s home on the NE tip of the island. Finding our way (and only getting a bit lost) we made it to their house, one they’ve been renovating over the past ten years into an airy and light-filled space (the last ‘to-do’ project being a ceramic studio for Eva). 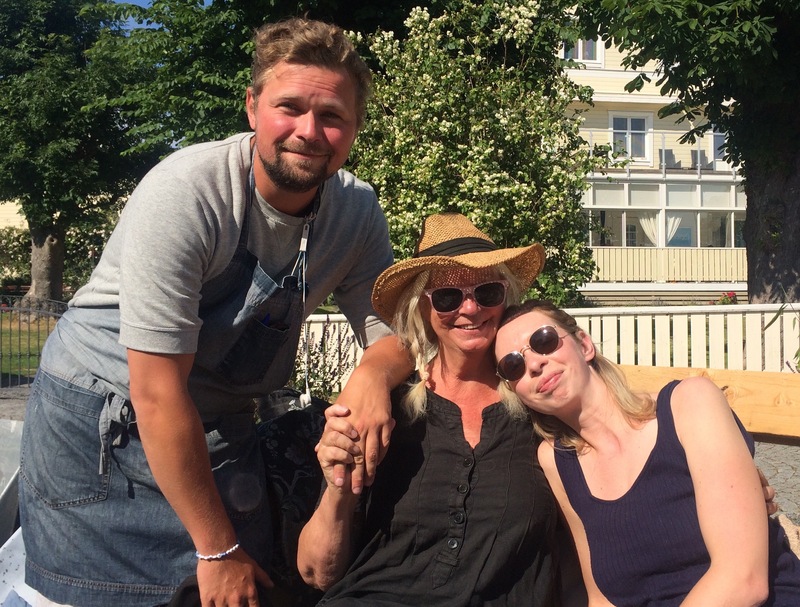 We spent a wonderful hour getting to know these friendly Swedes. I’m fascinated by how people spend their lives. It’s not so much what they ‘do’ but rather why and how they’ve chosen a particular path. Eva, as a therapist, enjoys the art of ceramics (and the coffee cups we used prove she not only enjoys it but makes lovely items); Ralf, being a judge, mentioned how he travels to explore other countries’ legal processes; Jonas and Vivica raise Icelandic horses in addition to his involvement in the solar industry and her work as a landscape architect-turned-graphic designer. 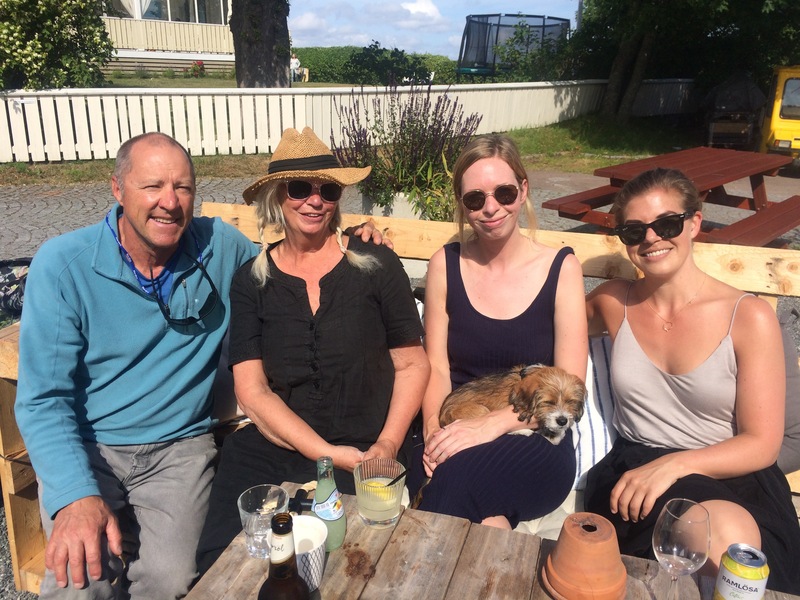 Vivica and Jonas were visiting that weekend as their 15-year-old son along with Eva and Ralf’s was attending a sea camp on a nearby island. The island is a military one that required permission to visit, which they were going to do the next day. Aromatic coffee, a delicious brownie cake topped with red-ripened strawberries accompanied by clouds of whipped cream, and non-stop conversation immersed us into an hour that passed way too quickly. How wonderful is that? Pretty great, we think. Walking back we happened to meet Federico and Noelia, two young Argentinians. Both are artists exploring this part of the world. We saw them later down on the dock while waiting for the ferry and invited them aboard. 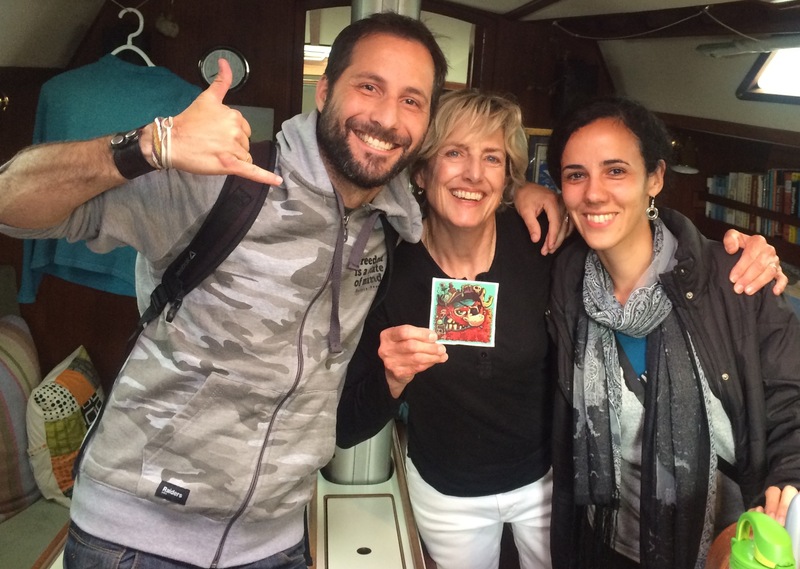 With their ride back to the mainland coming soon we only had time to snap a photo featuring the gift of a sticker he had designed, one we’ll be posting on JUANONA. Warm and adventurous souls, the type of folks we seem to be meeting wherever we sail. By then it was time for a delicious dinner of salmon and potato salad at the Obergska cafe where we met up with Michael. 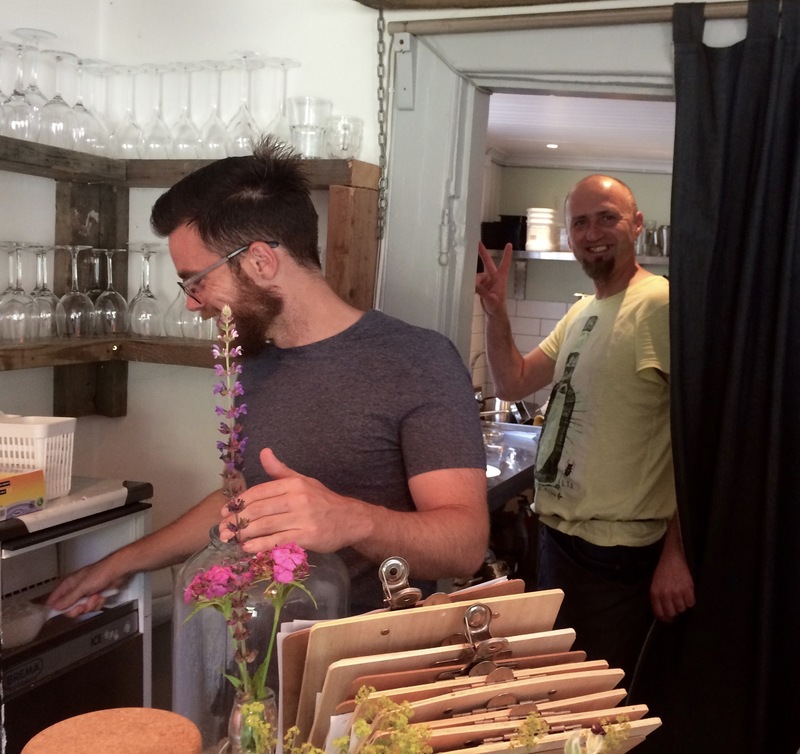 He introduced us to Adrian, the chef, and Darren, part of the core team Michael has assembled at the cafe. 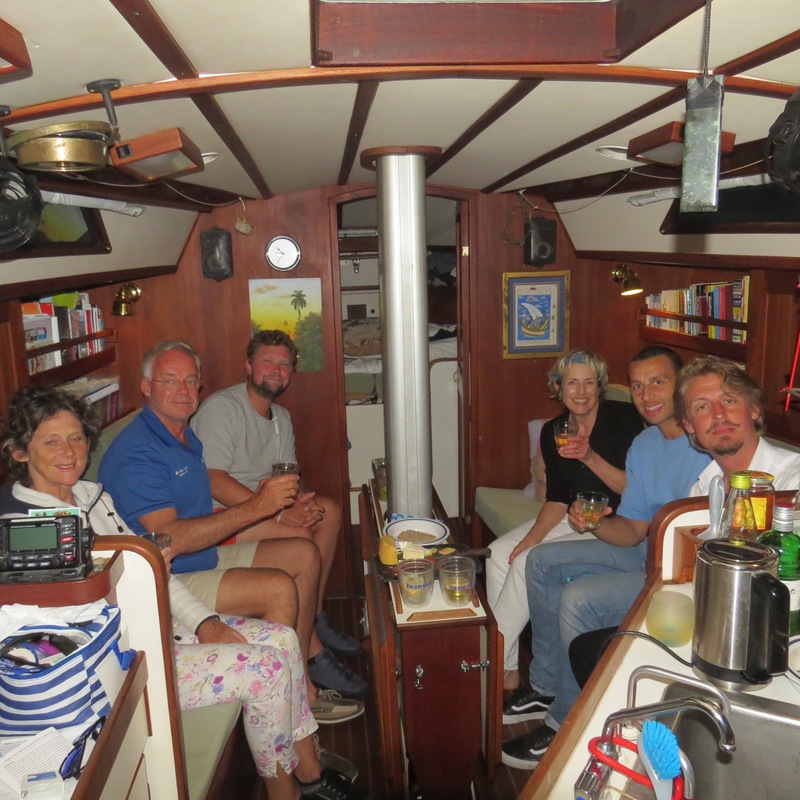 Back to JUANONA Michael, Max and I sent a toasting photo to Thomas and Camilla on s/v EQUINOX. 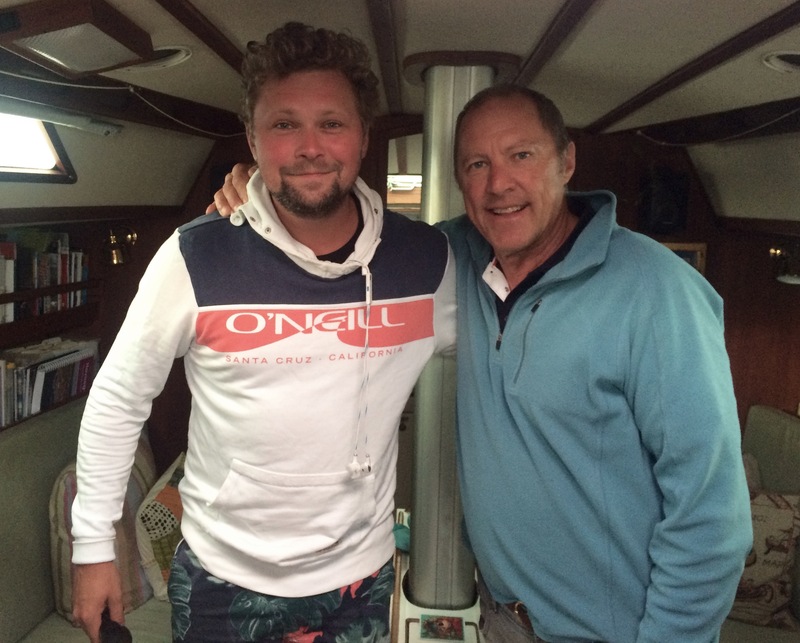 A short phone call connected us to their boat, recently landed in Morocco on their way to the Canaries. 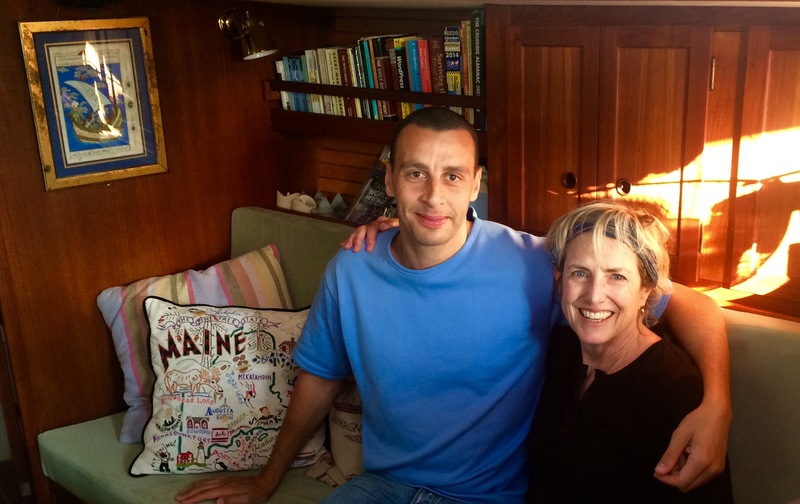 Because of meeting the three of them mid-May, JUANONA with Michael aboard now sat happily docked in Styrso seven weeks later. 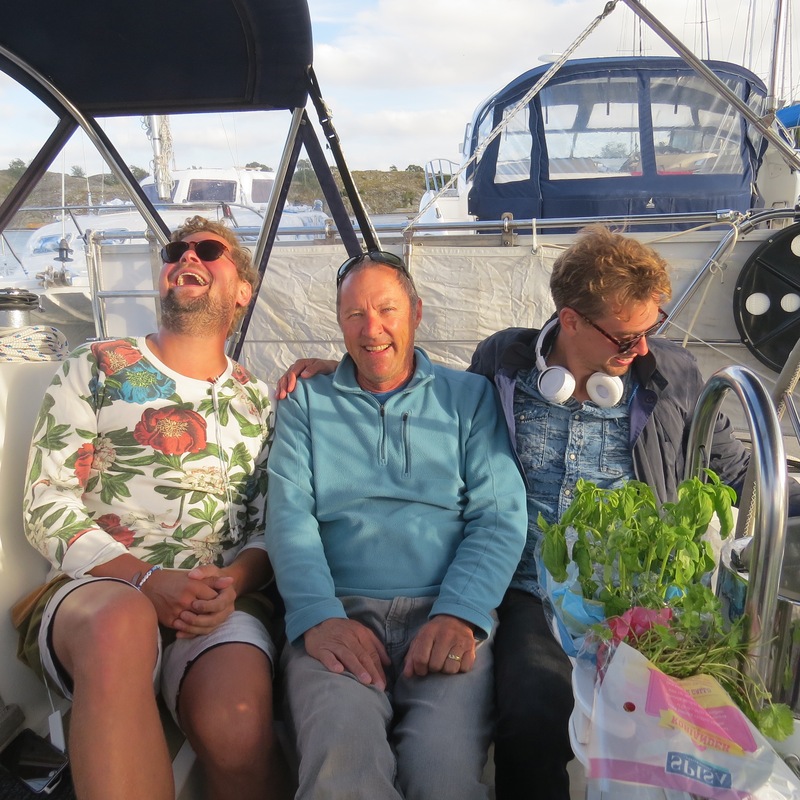 continuing on Saturday with Olaf, gin maestro, joining us before catching the ferry to Goteborg. After another excellent dinner, Michael and Adrian came back to JUANONA for a gut-laughter-filled evening lasting until 3:00 am Sunday morning. Being with young folk makes us feel a heck of a lot younger than we are! and later meeting Michael’s mother Carina, his sister Isabelle and Felicia, Isabelle’s friend along with Oliver, Michael and Isabelle’s puppy. 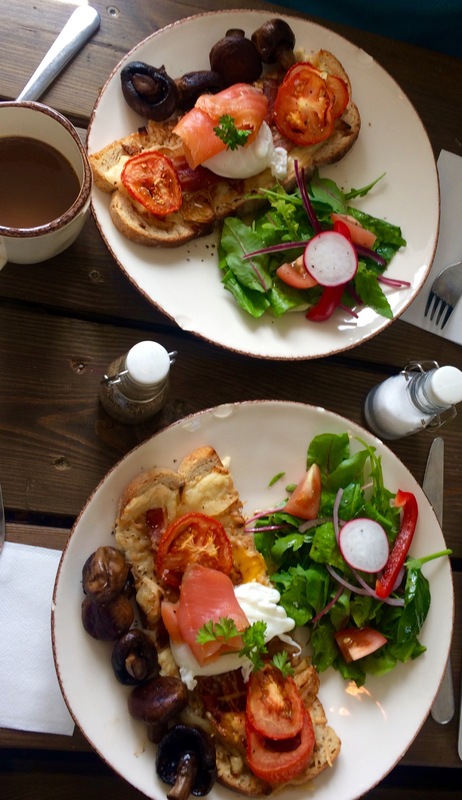 We basked in the sun and just veged, perfect considering our late night. As time came to close the cafe Michael introduced us to more of his friends, Kim and Magnus, with Magnus coming down to see JUANONA. Of course, that’s when the combination padlock to the main hatch got stuck; but, a run up to the cafe for a can of coke, which worked after we dribbled a bunch into the lock, we went below. Before too long Kim joined us followed by Michael and two more of his friends, Cecilia and Fredrik. Magnus announced he’d brought a bottle of champagne for the weeend and said it was the perfect occasion to pop the cork. He left to retrieve a bottle and we all “Skaled!” life and friendship. By 11:30 pm time for all to leave but not before Cecilia and Fredrik had invited us for breakfast. 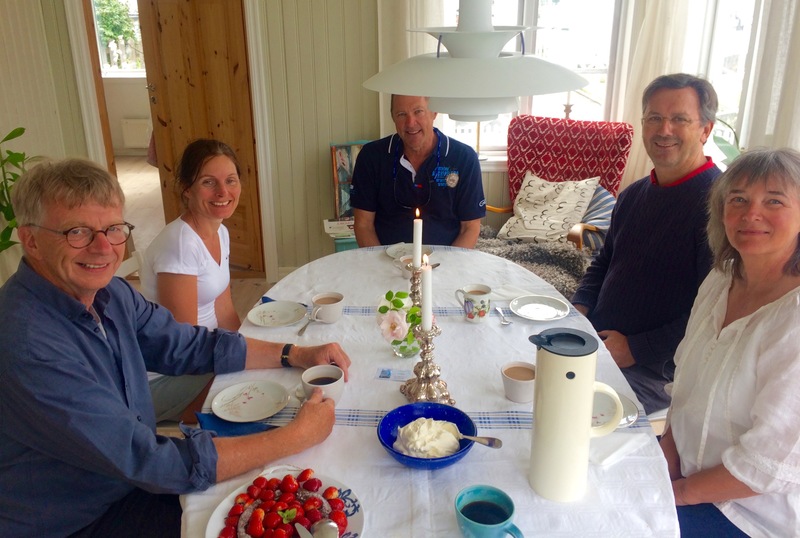 Our Monday morning began with another lovely breakfast, this time with Cecilia and Fredrik at their cottage. The house is beautiful, and, once again, what many of us Americans think of Scandinavian design with a sense of spaciousness and coziness. No surprise considering Cecilia renovates flats herself, and I mean truly does all the work less plumbing and electricity. As we’re finding when we’re with friends, both old and recently met, we had to tear ourselves away. With summer vacations starting in earnest we try to reach any marina before 2:00p as boats come flooding in soon after. With 20+ miles to go we headed back to JUANONA. 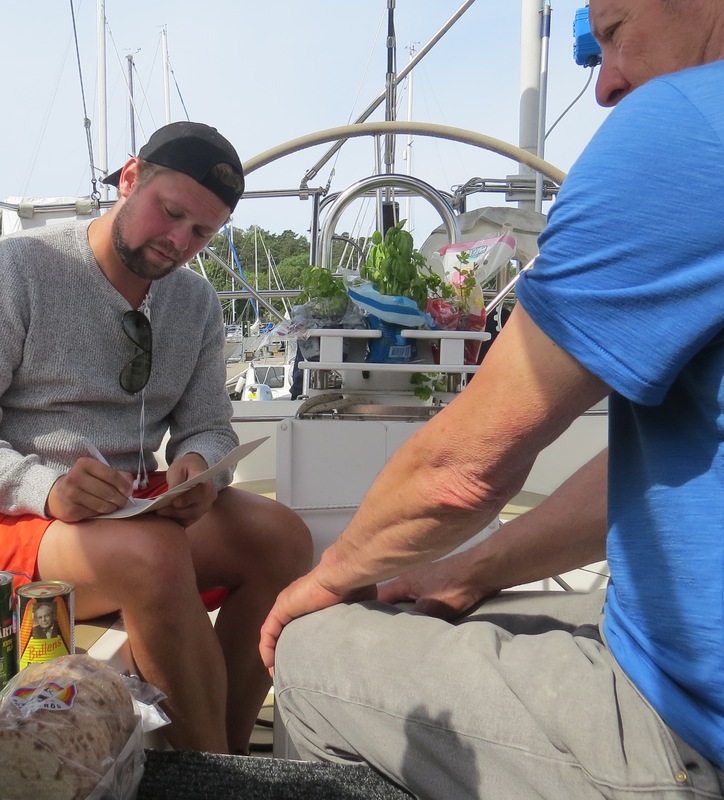 Michael joined us for a last farewell while provisioning us with special Swedish delicacies and instructions on how to enjoy them. With Cecilia and Fredrik joining Michael we waved our farewells. The only consolation of leaving those we had met this dreamlike weekend is the hope that reunions are in our future. You two are amazing. You make me jealous that we have reached the point where we are no longer crossing oceans. 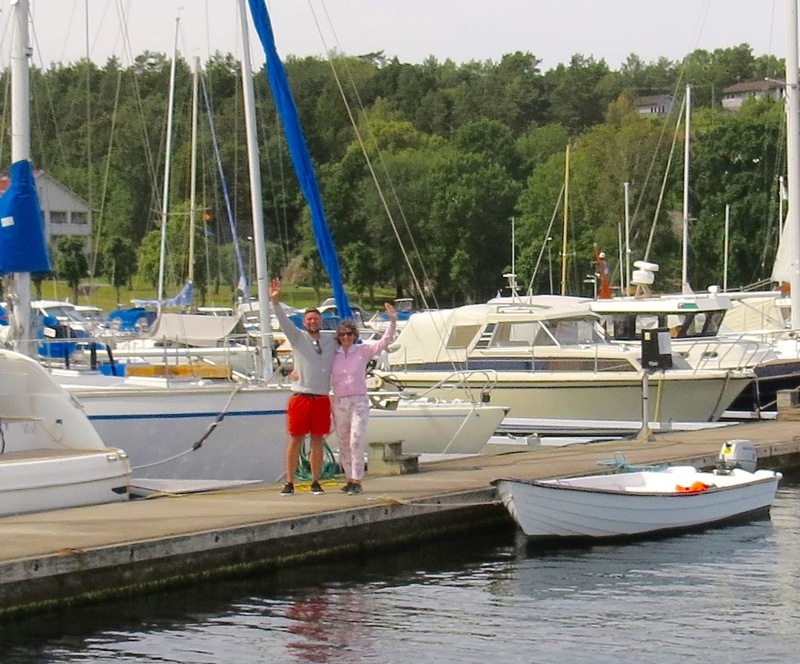 We had always wanted to sail to Sweden etc; but somehow never made it. The one thing I love about your news letters is how you make friends with the local people. After all that is the main reason we all love cruising to far places. However, it seems most “cruisers” don’t seem to do it; especially like inviting the locals to their boats. We’re just doing what you and Kitty do :).